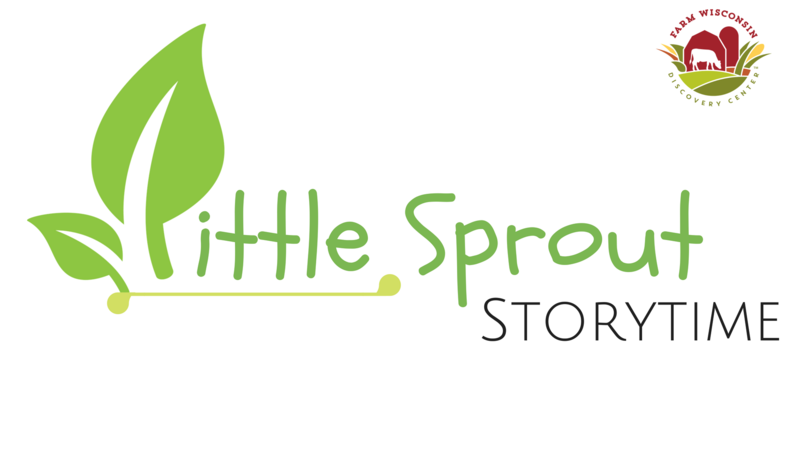 (Manitowoc, WI): The Farm Wisconsin Discovery Center is pleased to announce its newly created program, Little Sprout Storytime. Little Sprout Storytime will take place one time per month at Farm Wisconsin Discovery Center. Little Sprout Storytime will feature farm themed stories, songs and activity. This event is perfect for babies, toddlers, preschoolers along with their parent/caregiver. Our next scheduled story times are Tuesday, September 25, Tuesday, October 23, Tuesday, November 20 and Tuesday, December 18. All with begin at 9:00 a.m. and end at 10:00 a.m.
Little Sprout Storytime is a free event. Afterwards, guests may purchase some ice cream or admission to experience Farm Wisconsin. Contact Melissa Bender at 920-726-6003 or melissa@farmwisconsin.org for more information or follow our Facebook page for updated information. The Farm Wisconsin Discovery Center is a state-of-the-art, interactive agricultural education center located in Manitowoc County. It provides visitors with the opportunity to connect to the industry by better understanding where their food comes from, and why agriculture is so important to them. The center features 10,000 square feet of hands-on learning opportunities, a birthing barn where visitors may watch calves being born daily, and an opportunity to tour a local farm to learn about Wisconsin’s rich farm history. Open daily from 10:00 a.m. to 6:00 p.m. seven days a week.